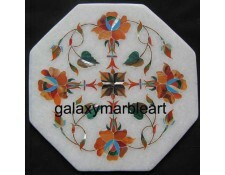 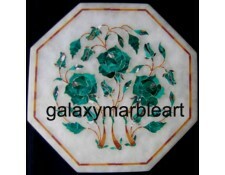 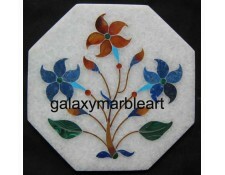 semi-precious stones inlay tiles 6"
This tile has a floral design with rose flowers and Malachite(green color) is the main stones used.T..
Inlaid marble tile with rose flower. 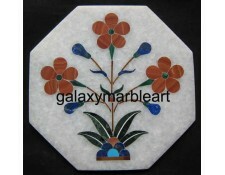 Stones used for inlay-lapis, mala..
Stone inlaid marble tile. 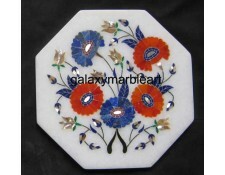 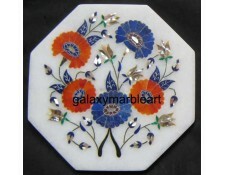 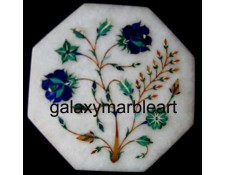 Combination of mainly two stones Lapis and Mal..
Taj Mahal marble inlay tile. 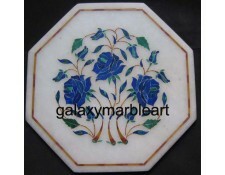 Combination of mainly two stones Lapis..
Taj Mahal marble inlay tile.Combination of mainly two stones Lapis---Cornelian ..
Marble inlay tile.Cornelian is the main stone used in this tile with rose flowers.&..
Marble inlay tile inlaid with semi-precious stones having simple design with flowers in Lapis and C..